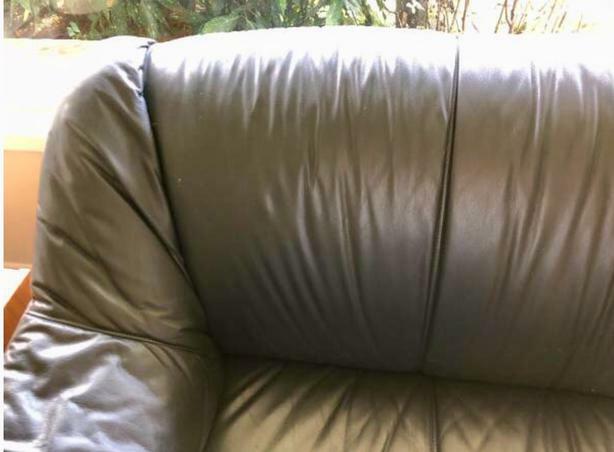 Leather, navy blue Ikea 3 seater couch. Good condition. Non-smoking household.